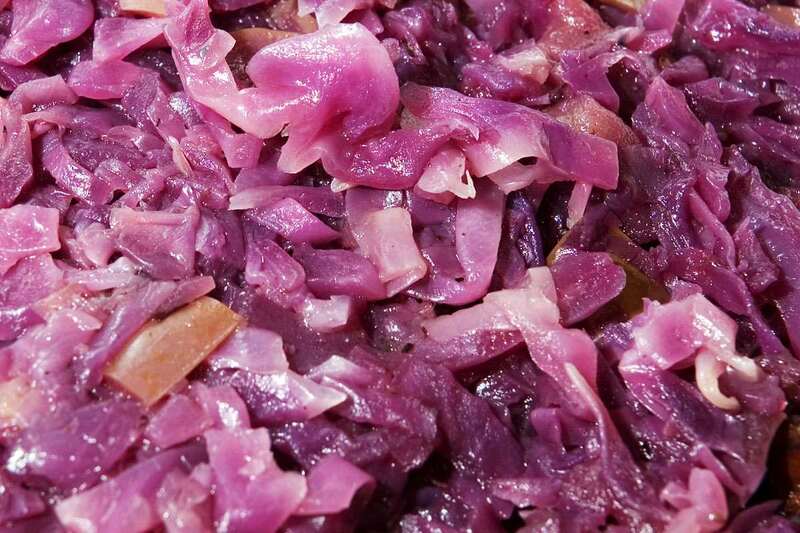 Braised red cabbage with onion, apple, bacon and red wine. Set heavy pan over medium-high heat. Render bacon. 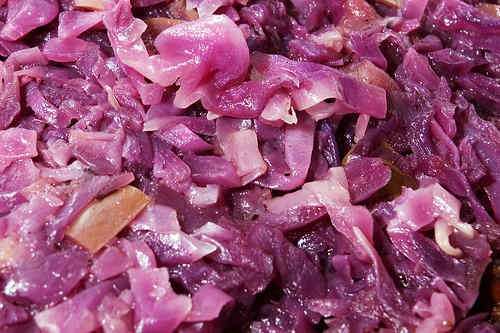 Add onion and sugar, cook until onion starts to soften. Add shredded cabbage, cloves, cinnamon and spices. Stir well and cook for a few minutes. Add apple slices and stock. Cover partially and simmer until cabbage is done (ca. 20-30 minutes). Stir occasionally. Add red wine and vinegar. Cook for another 10 minutes. Adjust seasoning with salt and pepper. Remove cinnamon stick before serving.